It is our duty to preserve our culture and heritage which the new generation is forgetting as time passes. Our unique affiliation with history requires revival thus keeping this in mind, in 2008 Adil Lahorei formed Adil Lahorei Cultural Club with the vision to promote old traditions and cultures amongst not only the locals but foreign tourists too. ALCC aims to promote the true heritage and culture of the Walled City of Lahore. With tours hosted for both local and foreign tourists, ALCC provides everyone with the opportunity to travel back in time, relive the historical moments and have a glimpse at the hidden yet forgotten treasures in Androon Lahore. Whether it be by moving on foot, heading back in time and travelling on the horse cart or preferring comfort above others in the coaster, we guarantee a unique and pleasurable experience. Lahore is famous for its food and when it comes to food how can we forget Lakshmi chowk and Gawalmandi. ALCC regularly holds breakfasts for its guests offering hot fluffy poori, naan chanay and the famous paye or shall I say the soul of the walled city when it comes to food .The horse cart ride or as we call it Tonga Tour is a unique and now a trademark to ALCC on which our guests are given the chance to enjoy the royal ride of its time and move across architectural and historical marvels. With the horse trotting on the Mall Road and then heading to the narrow streets of the inner city, our guests experience Lahore as it was in the old and golden times. 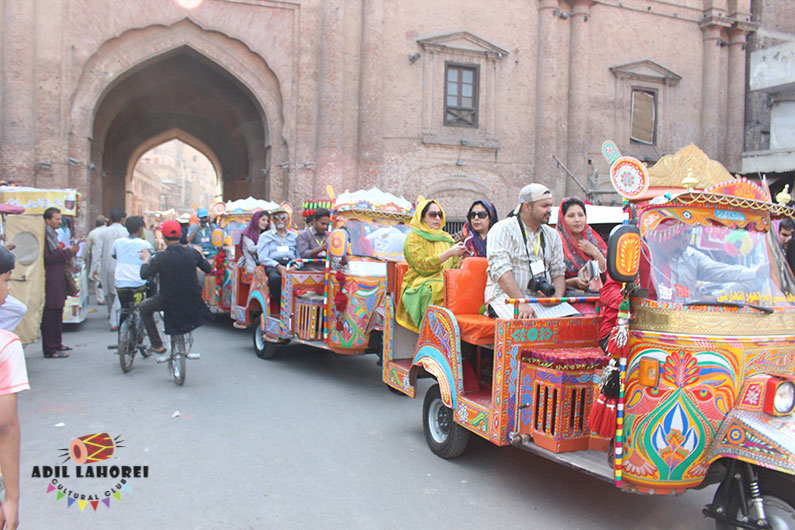 Our aim to always s entertain our guests with new ways to explore the Walled City thus Rangeela Rikshaws are also used as a mood of transportation during our tours. 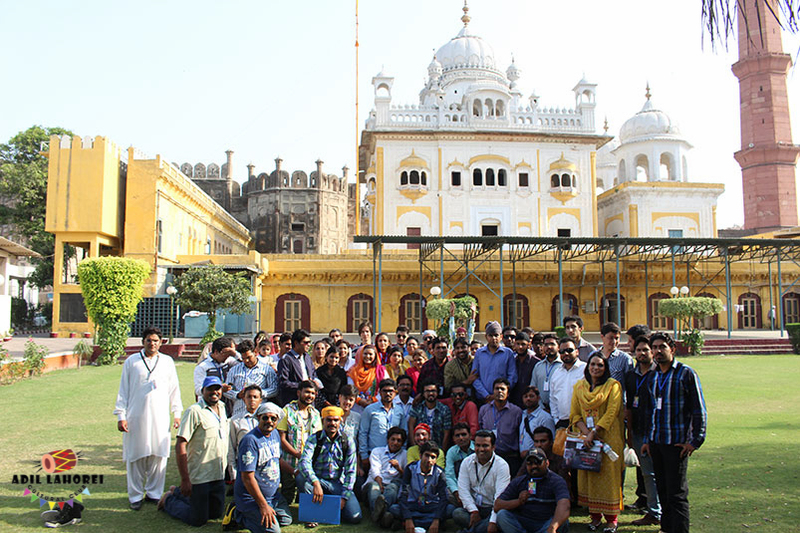 Overtime ALCC has served many foreign tourists presenting them with scrumptious local nashta, divine traditional dinners, visits to old havelis and detailed visits of Mughal architectural wonders such as the Lahore Fort and Badshahi Mosque. Things unique to Lahore such as the horse dance and dhool wala are also a part of the journey. ALCC has also been honoured to host tours for international delegates such as United Nation Organisation, Asian Study Group and NETSOL. It is now time ALCC serves you and your family so hurry up and book your trip with ALCC. Remember as the locals say JINAY LAHORE NAI TAKYA O JAMYA NAI ( the one who hasn’t seen Lahore, hasn’t been born yet). ALCC offers the special guided tours of Lahore for our guests . We have very dedicated team of tour guides. 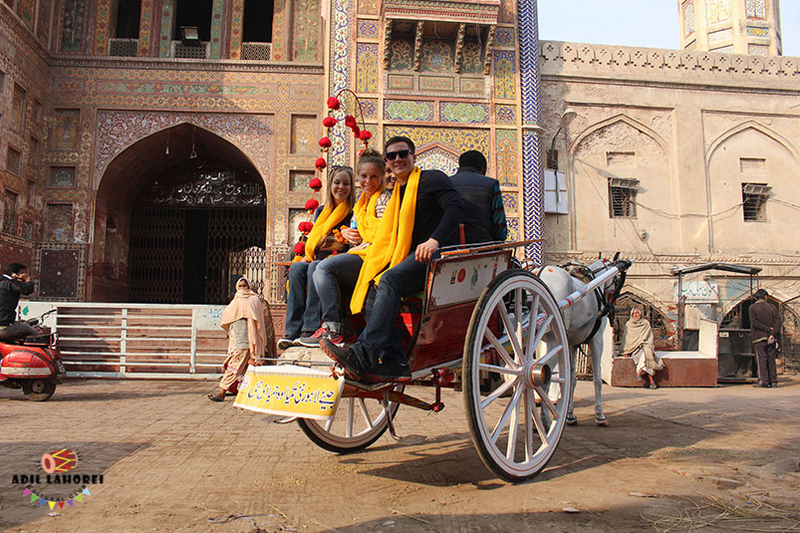 Enjoy the rangeela rickshaws tour walled city of Lahore . Once you will remember your childhood memories .